I think it’s a little-known fact that back in the 1960s James and Maggie Donkins opened a small donut shop on the creamy shore of Bass Lake. Donkins’ Donuts became a hit with local coffee drinkers and the local police authority. Maggie’s dream was to be a donut chef. She lived that dream. Every day at 3 a.m. Maggie rose from her toasty bed, opened a window, and then went back to bed. James, the big sissy, like to keep the wood burner blazing hot. Maggie said it was a little better in the winter because the screens froze to the glass. I’m still not sure why she would say a thing like that. Maggie and I met in Mrs. Clump’s elementary class. Back then there was only one room where we gathered each day to learn arithmetic, spelling, and grammar. The third grader’s had their own room, as did the fourth, fifth, and sixth graders. As I say we met in first grade right next to Mrs. Swipe’s second grade room. At recess Maggie would make mud donuts while the rest of us made mud pies. She was Maggie Pie in those days. She said she didn’t want to make mud pies because she didn’t want the other kids to say her name was mud. Maggie made the donuts and Little Jimmy Donkins served up the best mud coffee this side of Nearbytown. I guess they were meant for each other, except where room temperature was concerned. When the time came I went off to secretary school and Maggie and Large Jim got married. That’s when Maggie Pie became Maggie Donkins. But she kept on making donuts and Jim kept on eating them. Maggie told me the saddest day in her life was the day Fat Jim told her that a new donut outfit was about to open out on Out-on-the-Highway Road. It was a chain donut place. Maggie just gave up the shop. Sold it to Jolly Jimmerschmidt who was looking to expand his morgue business. Plus he thought the police traffic would brighten the place up with their badges and handcuffs reflecting the morning embalming light. 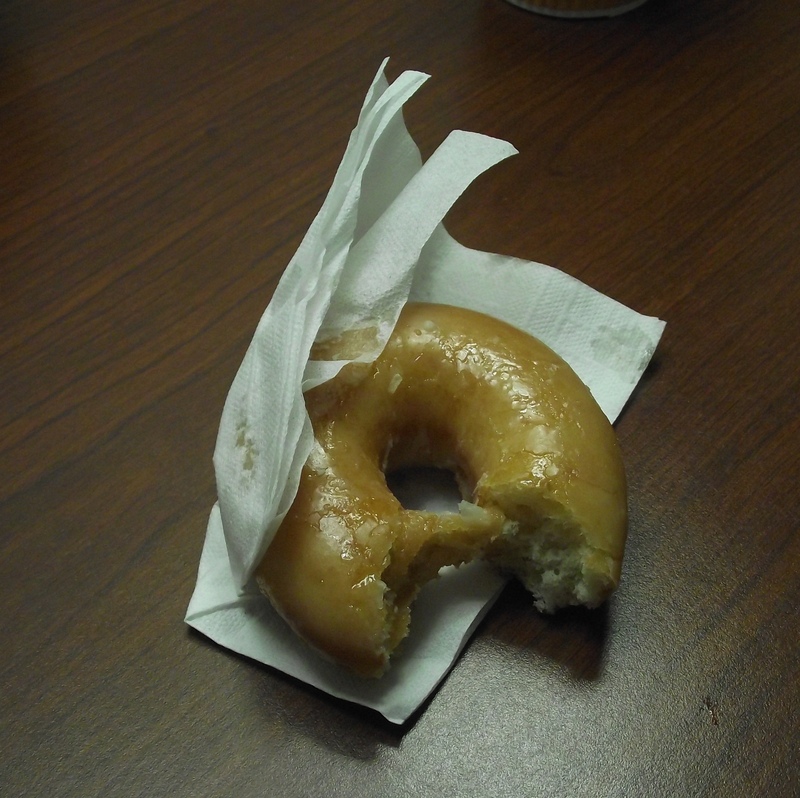 I’ll miss Maggie and her donuts. I’ll miss her a lot.